Age Limit: 18 to 28 years as on 01/01/2017. Educational Qualification: 10th class under 10+2 system or Higher Secondary or equivalent examination from Chhattisgarh or Madhya Pradesh State Institute/ Colleges. Starting Date of Online Application :03/01/2018. Chhattisgarh Police, Police Head Quarters, Raipur has published latest notification for filling up 2976 posts of Constable GD & Constable Tradesman (Un-skilled). Desirous & eligible candidates of Chhattisgarh can apply online from 25/11/2016 to 15/12/2016. Age Limit: 18 to 28 years as on 01/01/2016. Age relaxation is applicable as per rules. 01. 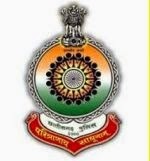 Constable (GD) : 10th class/ Higher Secondary (Under 10+2 pattern)/ Equivalent examination from recognized board of Chhattisgarh/Madhya Pradesh. 02. Constable Tradesman (Un-skilled) : Passed 8th class from any school of Chhattisgarh/Madhya Pradesh. Starting Date of Online Application :25/11/2016. Last Date of Online Application : 15/12/2016. Application Procedure: Eligible candidates can apply online through the website http://www.cgpolice.gov.in from 25/11/2016 to 15/12/2016. Subscribe our free job alert mail for Chhattisgarh Police Recruitment 2018.